David Cepero (b. 1978) and Alicia Lynn Cepero (b. 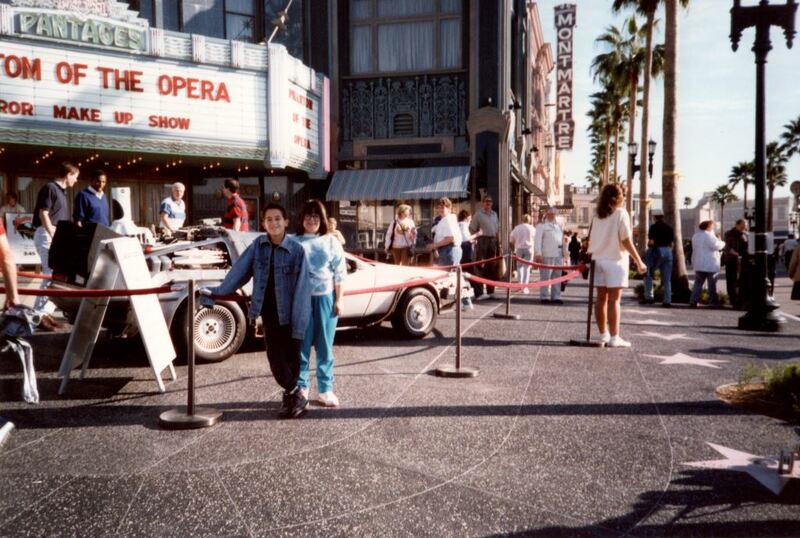 1975) in front of the Back to the Future DeLorean DMC-12 at Universal Studios Florida, located at 6000 Universal Boulevard in Orlando, Florida, in 1991. Also seen in the photograph is the entrance of the Phantom of the Opera Horror Make-Up Show. Universal Studios Florida, a movie- and television-themed amusement park, opened on June 7,1990. Design began in 1982, with plans to include a working studio. However, the project was put on hold until 1986. The park originally featured several themed areas: "In Production" (Front Lot and Production Central), "Now Shooting" (New York), "On Location" (San Francisco and Amity), and "The World of CineMagic Center" (Expo Center). In 1998, Universal began expanding its property to include Islands of Adventure. 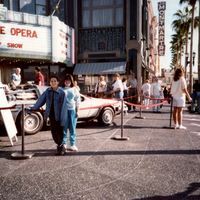 “Back to the Future DeLorean DMC-12 at Universal Studios Florida, 1991.” RICHES of Central Florida accessed April 19, 2019, https://richesmi.cah.ucf.edu/omeka/items/show/4484.